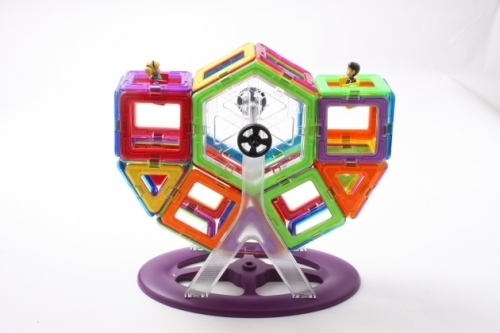 Super Powerful Magnets enclosed in coloured building shapes. 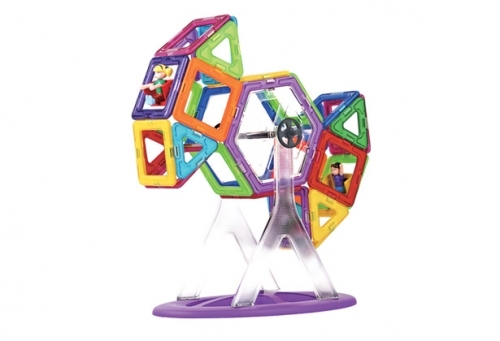 Build carnival rides with these multi-coloured shapes. 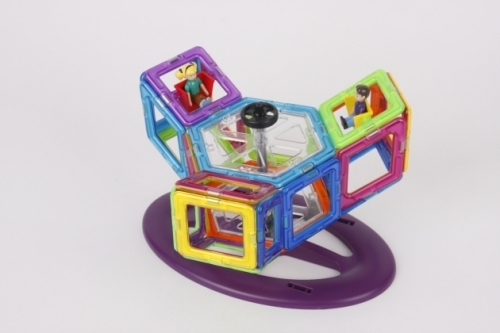 Lock and unlock the pieces at your command. Everything that is needed is enclosed. 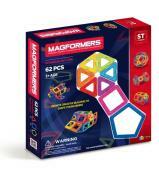 144 magnets included in 46 magformers. Twelve triangles and twenty-four squares, two hexagons and eight additional triangles. 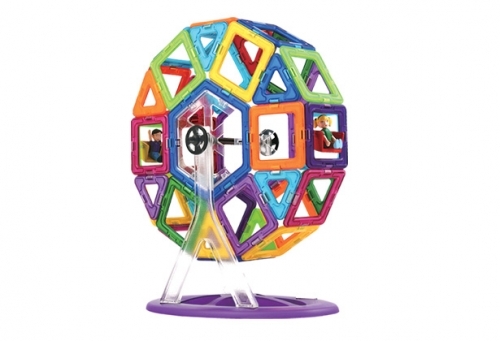 With instant connection you are ready for instant fun. 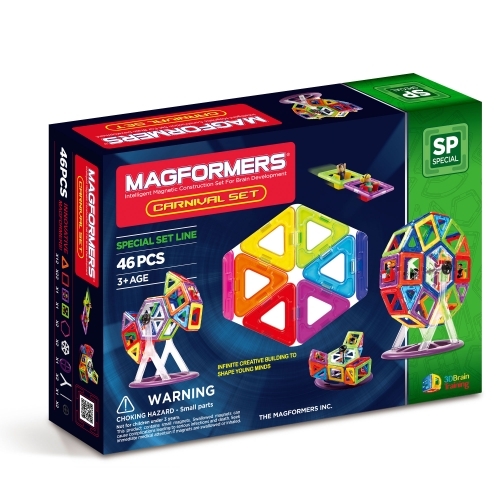 Magformers Carnival Set 46 piece includes 12 triangles, 24 squares, 2 hexagons, 8 accessory pieces and an ideas booklets to help with your magformers creations.